Tired of dried out cigars?? 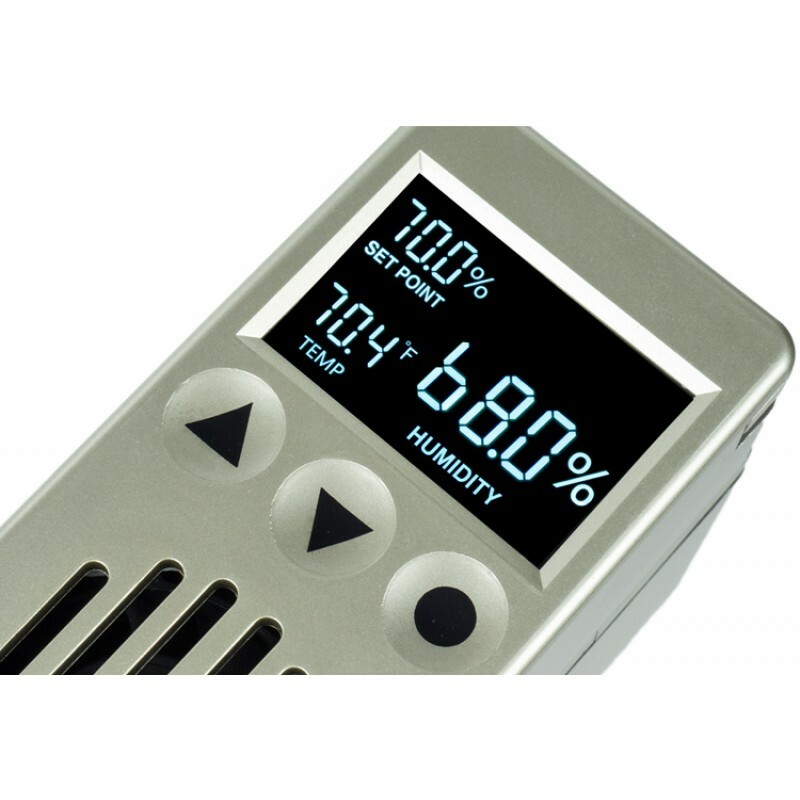 Bring sanity to the tedious routine of monitoring humidity levels and pick up the Cigar Oasis Humidification System. Reduce the quantity of damaged cigars attributed to fluctuating humidity conditions within your humidor. 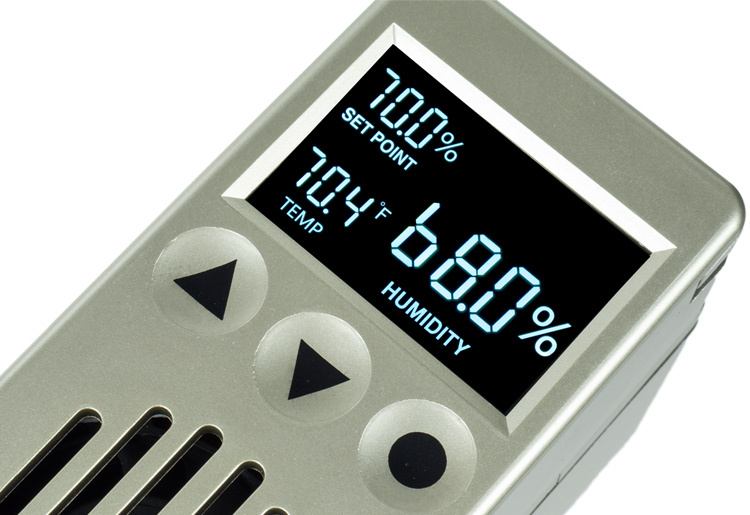 The days of worrying about religiously refilling your humidifiers & monitoring your humidor's environment are over. The humidity in your humidor can now be completely controlled and maintained through the Cigar Oasis electric humidifier. Enjoy a perfect smoke with an even draw any time - every time. The perfect solution for any cigar connoisseur! The Cigar Oasis Excel 3.0 Electric Humidifier! This automated unit was designed based on recommendations made by fellow cigar aficionados to resolve the problems associated with passive sponge-type humidification devices. 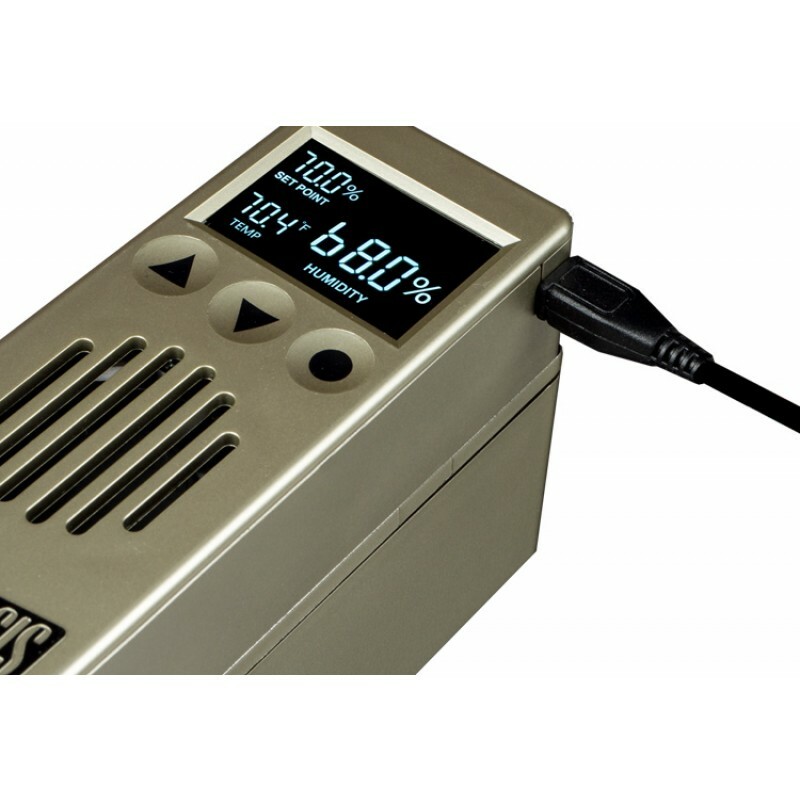 The Cigar Oasis XL 3.0 humidifier is a self-contained device made up of two components: the upper control unit and a replaceable lower cartridge for distilled water. The two pieces interlock with one another for a secure leak-proof seal providing the perfect humidified environment for your cigars. 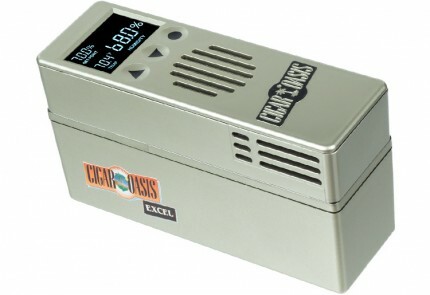 The Cigar Oasis Excel 3.0 electronic humidifier has a built-in fan, which filters and circulates the air within the humidor eliminating the "musty" scent frequently associated with a well-sealed humidor. The system is designed to recover quickly to return the atmosphere back to the controlled humidity level after opening and closing the humidor. Another advantage is that you can use The Cigar Oasis XL to season your new wooden humidor normally within 8 hours. 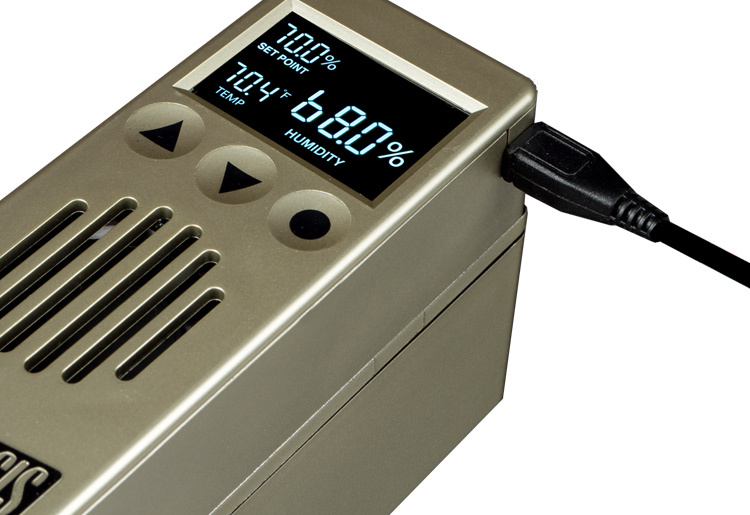 Cigar Oasis leads the industry in reliable, hands-free humidification making cigar care easy. So kick back, relax and enjoy the pleasures of a great smoke! 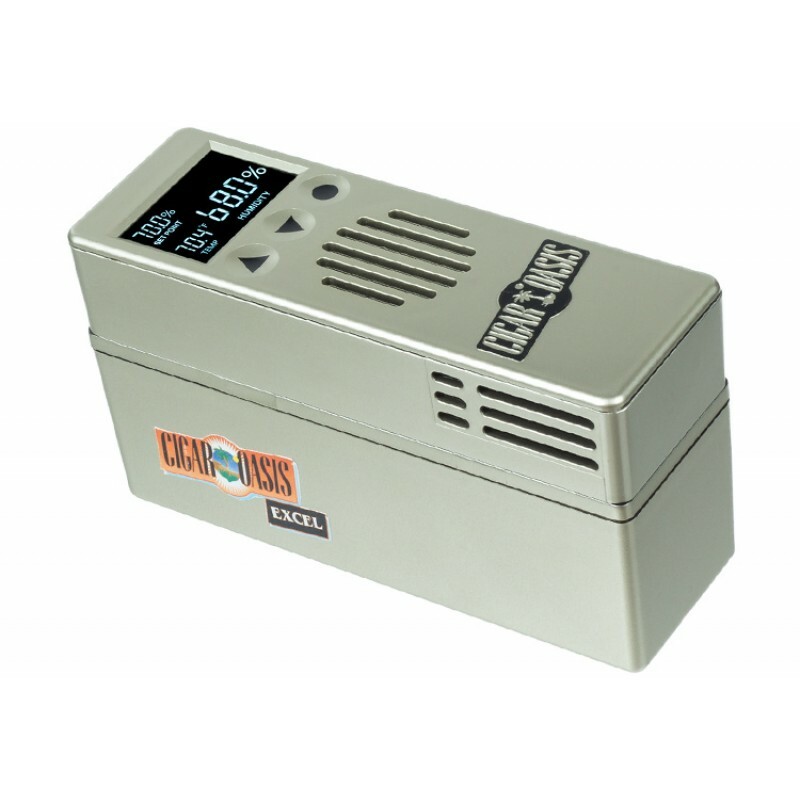 The Cigar Oasis Excel 3.0 electric humidifier accurately measures and controls the humidity in standard cigar humidors over extended time periods. * Approximately 1 year of unattended operation (without replacing or refilling sealed cartridge) in a well-designed, well-sealed humidor with 75-125 cigars and opening three or four times a week. ** Cubic feet of your humidor can be calculated by multiplying (width in feet x depth in feet x height in feet) of your interior space. Placed the unit in my new countertop humidor (150). Brought it up to 70% put 75 cigars in and it has been holding steady. It seems like the Unit runs off and on frequently which is annoying due to the location of my humidor. Have used the original product for more than 10 years and finally required a new one. The updated version is better than original. Worth the small investment to keep cigars in top condition. Simple yet very effective unit to keep the humidity at the required 70% level.